One of my students with an "old" Emily cup and now her "new" Emily cup! The week I was there also happened to coincide with the hatching/mating/arrival of the synchronous fireflies which was easily one of the highlights of the summer! Here is a short video of what it is! There was also a new and not as exciting addition to the Arrowmont campus....or I should say, I didn't think it was exciting until I tried it! 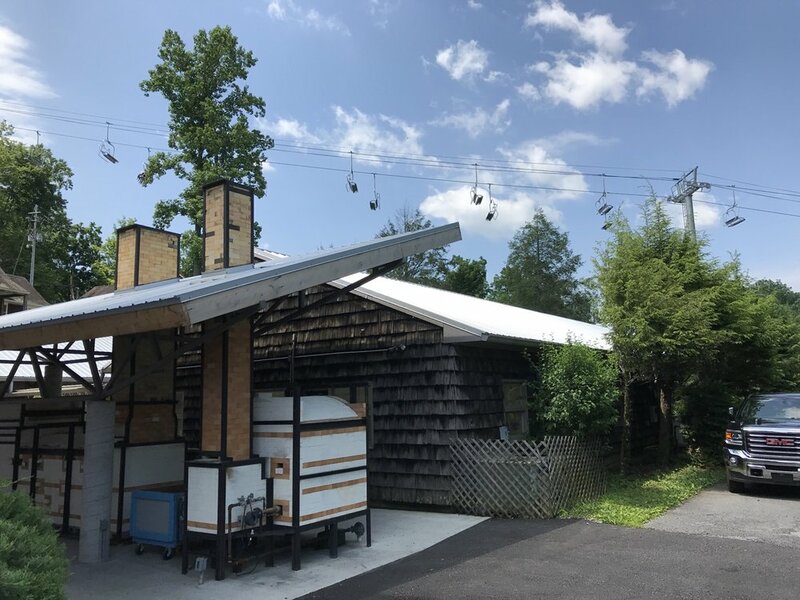 There is a gondola in Gatlinburg that now goes over the campus at Arrowmont and it felt very intrusive at first, but on the last day of the week, myself and a few others took a ride to the top and BOY! It was quite the view! In town, you don't really get to see and enjoy the mountains, but up at the top of the hill the views are spectacular! I would highly recommend it if you are heading to Arrowmont for a workshop!